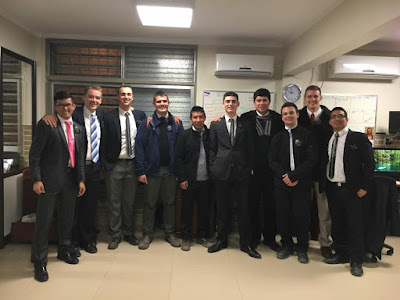 Thursday, we had a giant group of missionaries who had tramites (mission business) in Rosario for DNI (our legal ID in Argentina), almost 40, so we rented two big vans and all went to Rosario together. We were there almost the whole day, but that was fun to get to know another part of Argentina. Rosario is a lot bigger than Santa Fe, so it was cool to spend some time there. As far as work in the office goes, we still have a lot on our plates, but we continue to organize, file, and register everything, and we're working closely with Presidente and Hermana Perez to make sure everything is done correctly. It has been a great blessing so far being in the office, to be able to get to know Presidente and Hermana Perez better. They are incredible people, who are full of faith and confidence in the Lord, and who love everyone unconditionally. They are amazing examples for me, and I hope someday I can be more like them. How can we invite the Spirit to be present with us all day, every day? What am I doing right now to accomplish that? How can I invite the Spirit more in my life, and what do I need to change to do that? Along with that was an example that Elder Robles gave in his talk. He showed us a monkey trap that he had made out of paper-mache, and he had put a banana inside. He then had Elder Blackmon come and try to take the banana out, but he couldn't take out his had while he had the banana in his hand. It's an example lots of us have seen before, but it is just as instructive every time. Elder Robles asked us, what are our bananas in the mission, or even more broadly, what are our bananas in our lives? What are we holding on to that is keeping us from progressing, keeping us from being the missionary (or student, or parent, or friend, or disciple) that we want to be? Each of these questions helped me a lot to really think about what I am doing with my time, the choices I am making, and what I can do to change and be better. As President Monson taught us in the last conference, "Our goal is to obtain celestial glory, and the choices we make, in large part, determine whether or not we reach that goal." The choice is ours, all we have to do is continually re-evaluate and re-examine our lives, so that we can continually improve the choices we make and recommit ourselves to choose the harder right instead of the easier wrong. I love you all! Have a fantastic week full of great choices that bring the Spirit! 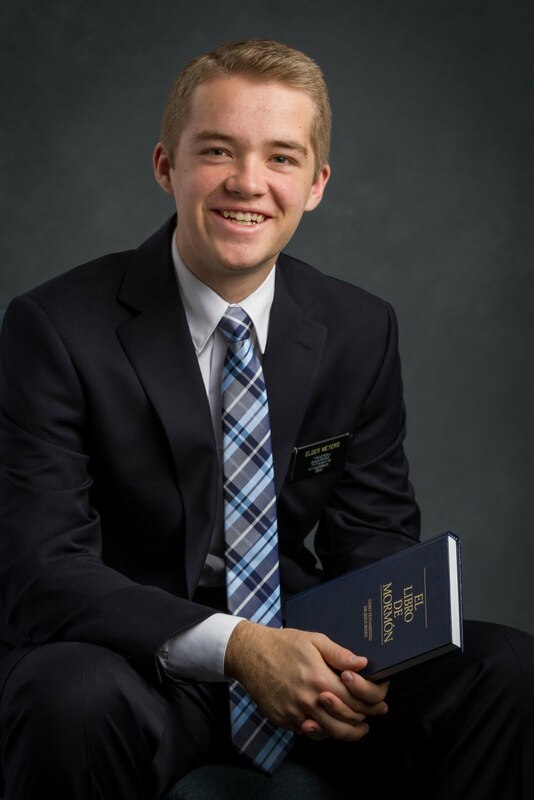 Happy 1st Birthday Argentina Santa Fe Mission! A bunch of missionaries in the office after the celebration. Elder Hanson (5th from the right) has completed his mission and is heading home. His parents were here to pick him up and took this picture.